Doctor Interview: How Can Spand-Ice Relieve my Back Pain? Ask “Dr. C”: How Can Spand-Ice Relieve my Back Pain? As I began developing our Spand-Ice™ clothing for managing pain on-the-go, I knew that I needed the expert guidance of a friend and mentor, Dr. James Cosgrove, an orthopedic surgeon and expert in musculoskeletal medicine. Throughout the design process, he has been my go-to source for advice and recommendations when it comes to the medical applications of the garment. I am excited to share some of his valuable insight with you through my new series “Ask Dr. C”. In this installment of Ask Dr. C, we get down to basics: what are the medical benefits of the Spand-Ice garments for the average back-pain sufferer? 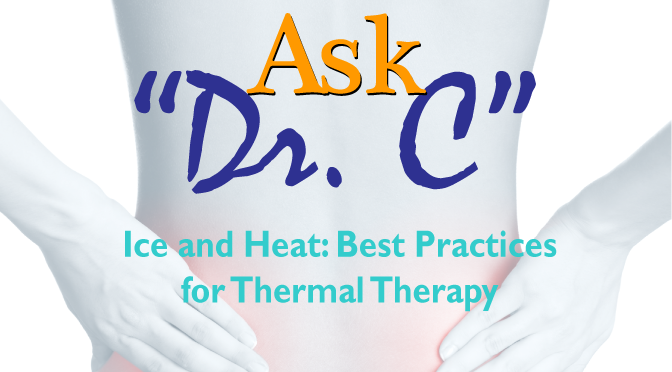 Why is it more effective than standard thermal therapy? Helen: Dr. Cosgrove, who do you feel can benefit the most from this garment, and why? Dr C.: There are many different kinds of back pain sufferers across different age demographics that would benefit. People in their 30’s, 40’s and 50’s may suffer from disc related issues, while an older generation may be seeking relief from back pain caused by arthritis or limited mobility. Also, there are those that may have episodic pain, as from an injury, that is more unpredictable and could incapacitate them from 2 days to 2 weeks. Helen: How can Spand-Ice help these individuals? Helen: Is it OK for people to move around while actively icing or heating their back? Dr. C: You should always check with your doctor to learn the specifics about what is safe for your type of back pain or injury. It is safe and often recommended for people to continue normal movement throughout the course of treatment. In fact, being sedentary is often counter-productive to the healing process. The great thing about Spand-Ice is that activities like walking your dog, doing the dishes, stretching, and shopping can be done while using the Spand-Ice top. Traditional icing and heating often limit mobility and require a patient to take time out of their day. Helen: What activities would you restrict people from doing while icing / heating? Dr. C.: In general, I recommend against any sort of percussive movement that could exacerbate the injury: jumping, running, twisting or turning. Helen: What do you view as some of the most important benefits of Spand-Ice? Dr. C: Ease. Consistency. Motivation. Because of its ease of application, many people will be more likely to use icing and heating for their injury which could reduce the use of anti-inflammatories and other over the counter pain remedies. That same “ease” will motivate back pain sufferers to allow for consistent treatment, which for many can mean a faster and stronger recovery. Most importantly however, no other product out there compares or offers the same type of mobility, adjustability and flexibility while allowing you to adhere to a pain-relief regimen. Thanks Dr. Cosgrove for taking the time to sit down and chat with us! Stay tuned for the next installment of “Ask Dr. C,” and in the meantime, learn more about his practice here. The information contained on this site is not intended to be a substitute for professional medical advice. If you are suffering from back pain or another injury, seek the advice of your personal physician. Dr. Cosgrove received his medical degree from George Washington University in Washington, D.C. He completed his internship and residency in physical medicine and rehabilitation at the University of Pittsburgh Health and Sciences Center. Dr. Cosgrove is board-certified in physical medicine and rehabilitation, pain medicine and electrodiagnostic medicine. 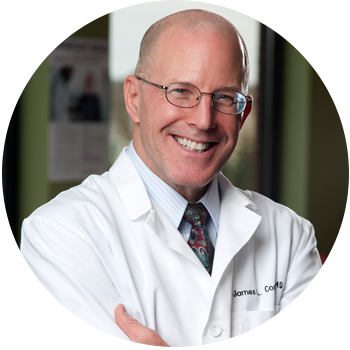 He has authored numerous articles and studies about physical medicine topics.